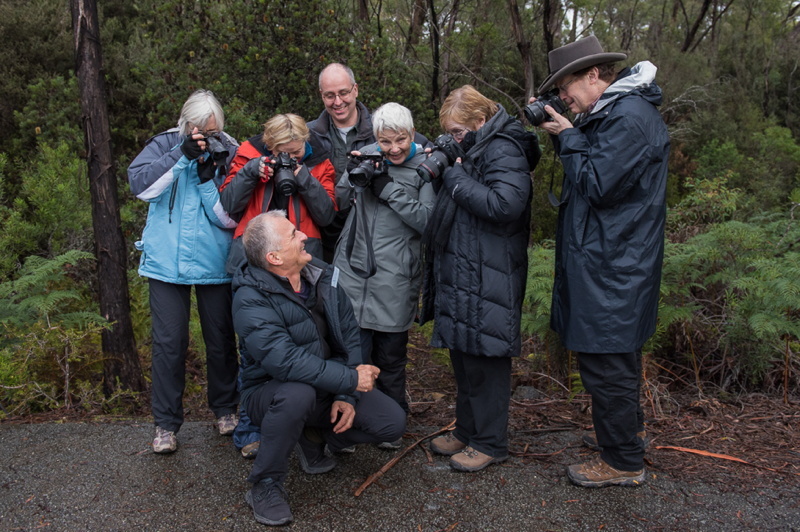 Join professional wildlife and nature photographer and tutor, Michael Snedic and renowned landscape photographer, Ben Fewtrell, on this exciting new photography tour of Cradle Mountain, Tasmania, in autumn! 12 seater bus. All transport within Tasmania is included, starting and finishing at your hotel in Launceston. Launceston hotel pick ups and drop offs included. Participants will need to arrive in Launceston the day before and stay one night after the workshop. There is no “minimum level” required regarding photographic ability. Beginners and highly experienced shooters alike are all very welcome to join us. With 2 experienced photographers and professional tutoring , you will receive plenty of individual one-on-one time that will be geared towards your own personal skill levels and needs. 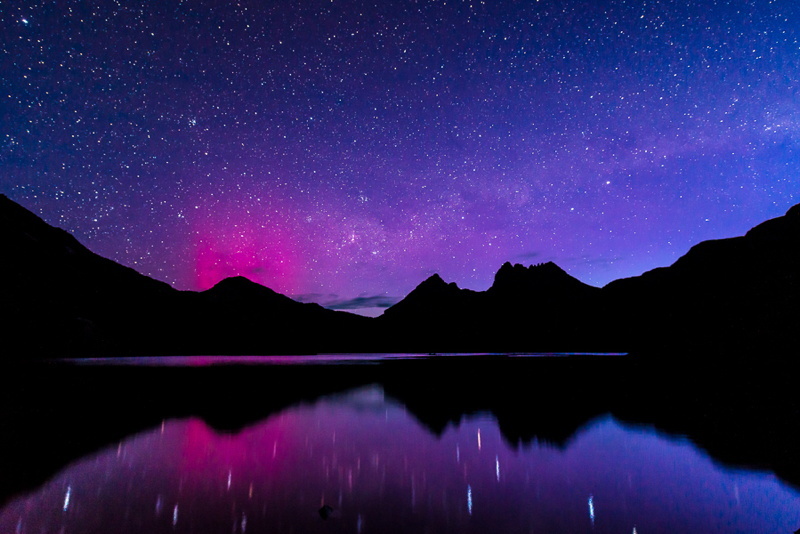 “In May 2018 I joined Michael on his photography workshop to Cradle Mountain, Tasmania. What a wonderful location to indulge my passion for photography – beautiful landscapes, flora and fauna. Regardless of the weather there was always an opportunity to make imagery and to learn. Michael and Ben Fewtrell (who co-presents the workshop with Michael) provided friendly and knowledgeable advice and assistance with camera gear, settings and post-processing of images in Lightroom to ensure we achieved the best results possible. Aside from the wonderful location, I also enjoy the camaraderie shared with workshop participants who willingly share their experiences and knowledge. As a participant, arrangements for accommodation, meals and transport were comfortable and seamless. Cradle Mountain was my second workshop in Tasmania with Michael, my first was to the Tarkine region. With the diversity of landscapes, flora and fauna available to see in Tasmania I plan to participate in future workshops with Michael. Other personal expenses such as alcoholic beverages with meals. 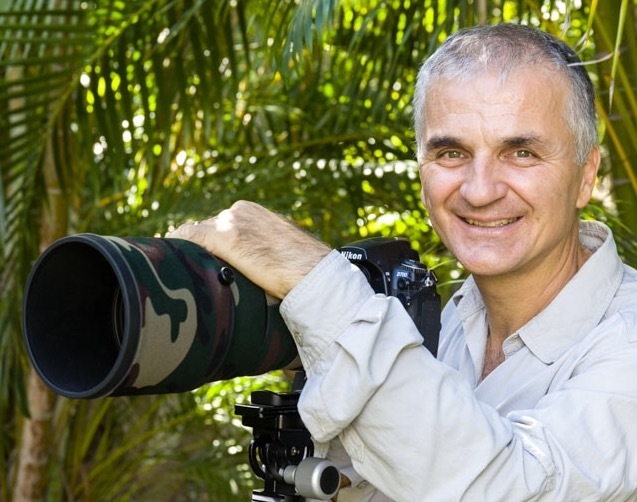 Michael Snedic, Professional Photographer and Proprietor of WildNature Photo Expeditions, has been passionate about the natural world since he was very young and has now been photographing wildlife and nature for twenty years. 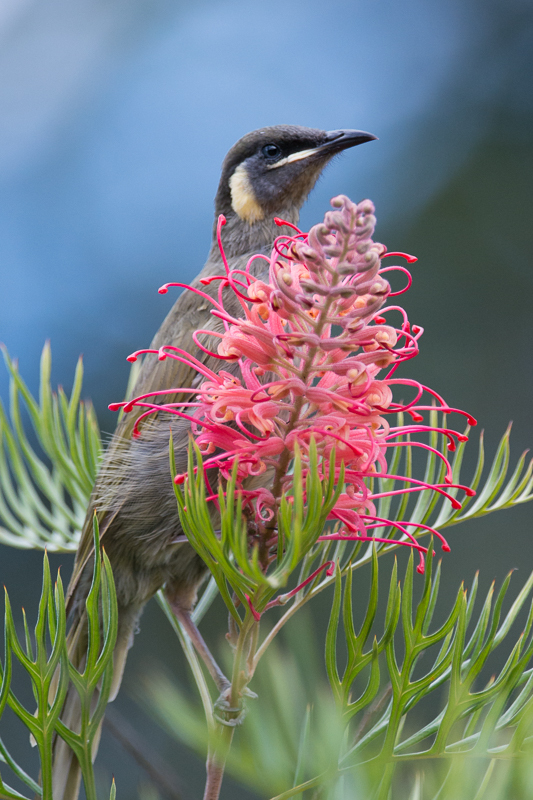 He is one of Australia’s most accomplished and published nature photographers, his images having won numerous awards. 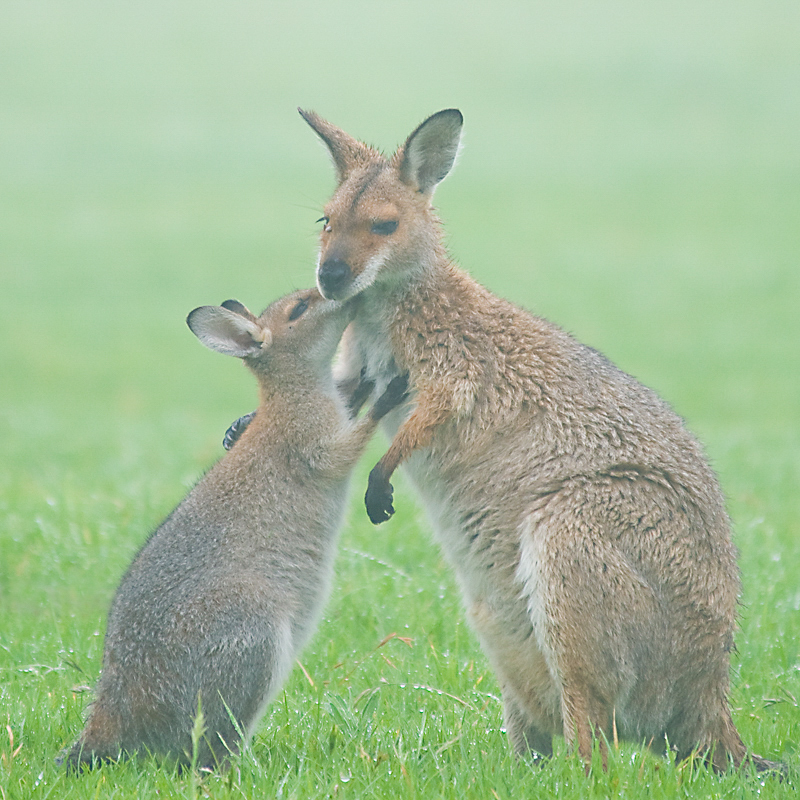 Michael’s images have been published across Australia and the world, in hundreds of publications. He has also written many dozens of magazine articles on nature/photography since 2001, including Australian Geographic, Wildlife Australia, Birdlife Australia, the UK’s BBC Wildlife and Australian Photography (Australia’s largest-selling photography magazine) which he has been a feature writer for since 2006. Michael is honoured to be an Australian Ambassador for Lenscoat as well as The Nature Conservancy Australia’s Photo Competition. He is also a Nikon School Tutor for Australia. A passionate Aussie photographer with a love affair with the great outdoors, Ben started his photographic journey with a Nikon film camera back in 1992. With a history of shooting everything from Weddings to Landscapes, Ben has always been drawn to the lure of nature and spends most of his time chasing the perfect sunrise or sunset. Through his articles, tutorials and workshops, he has helped hundreds of photographers take their photography to the next level and says his greatest achievement is the people he has helped to get more out of this incredible hobby. Ben has created a vibrant online community of photographers and is host of his own popular YouTube channel where he shares his passion and enthusiasm. 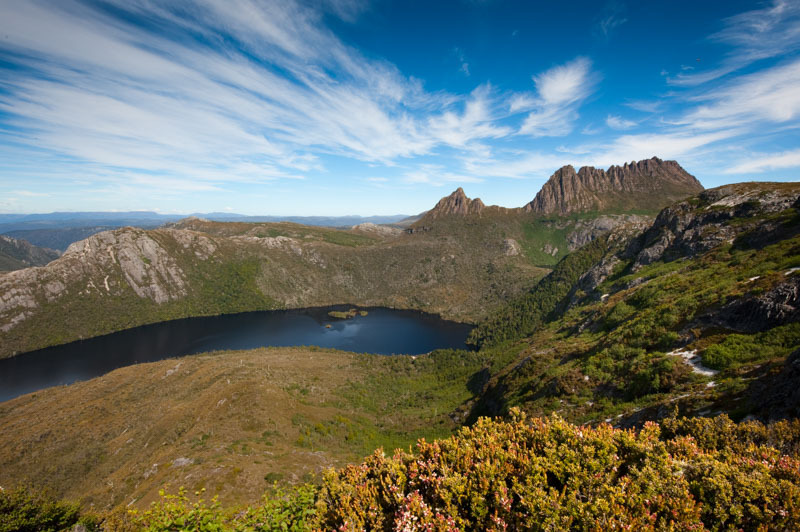 You will be picked up from your accommodation in Launceston, where we will drive our bus to Cradle Mountain Hotel, our base for the duration of the photo tour. After checking in and a short break, we will get together for a briefing, before heading to Dove Lake for our first sunset shoot. Then its a scrumptious dinner, followed by an audio-visual presentation. 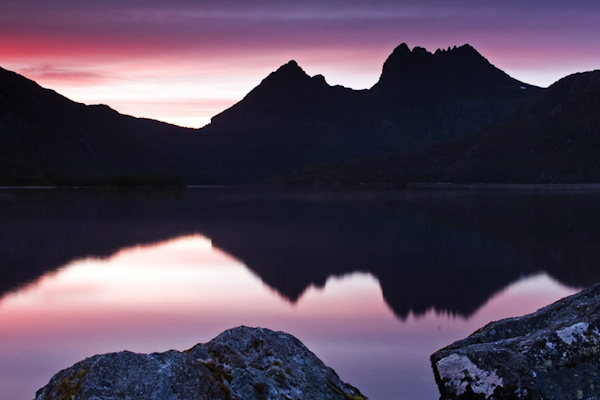 Today we will shoot sunrise at Dove Lake, as well as exploring the ancient alpine rainforest of the region. 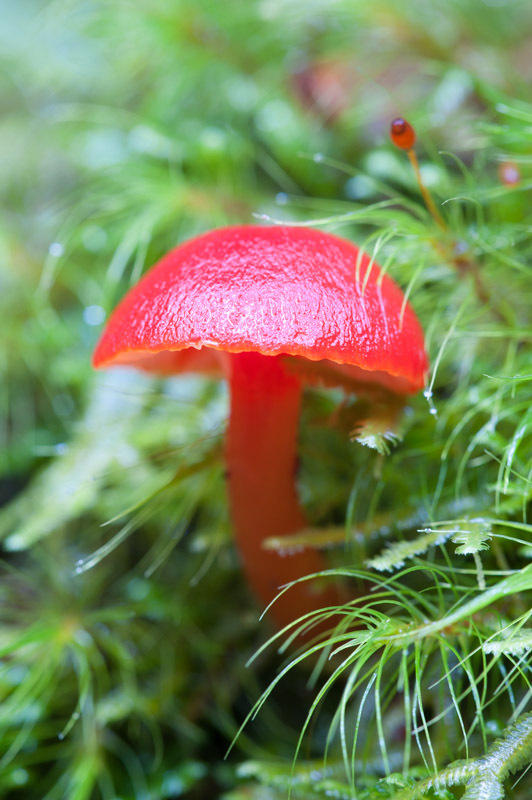 We will then visit Waldheim, a rustic hut nestled deep in the rainforest, surrounded by ancient rainforests and autumn fungi in the rainforest. 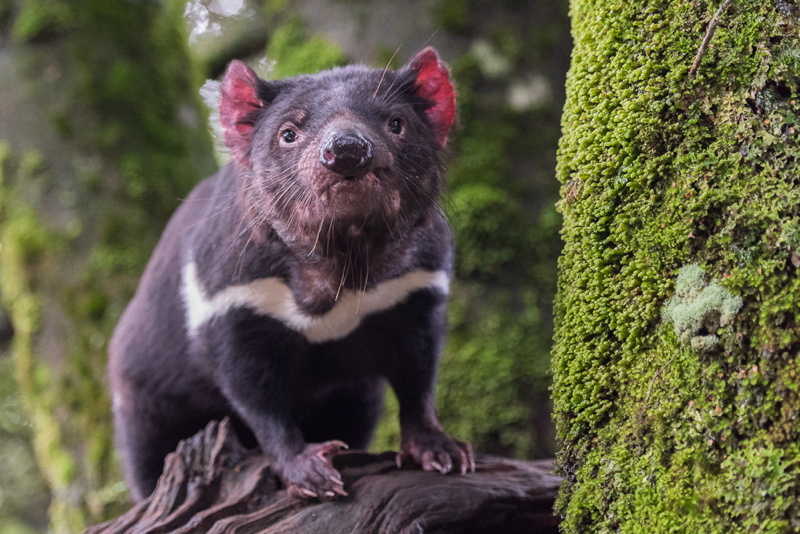 In the afternoon we will head to the famous ‘Devils At Cradle' for a chance to photograph this iconic Tasmanian wildlife species. Ben will also present the first of his two sessions on Adobe Lightroom. After breakfast, we will be taking a stroll around Dove Lake, photographing the wonderful plants and landscapes the area has to offer. 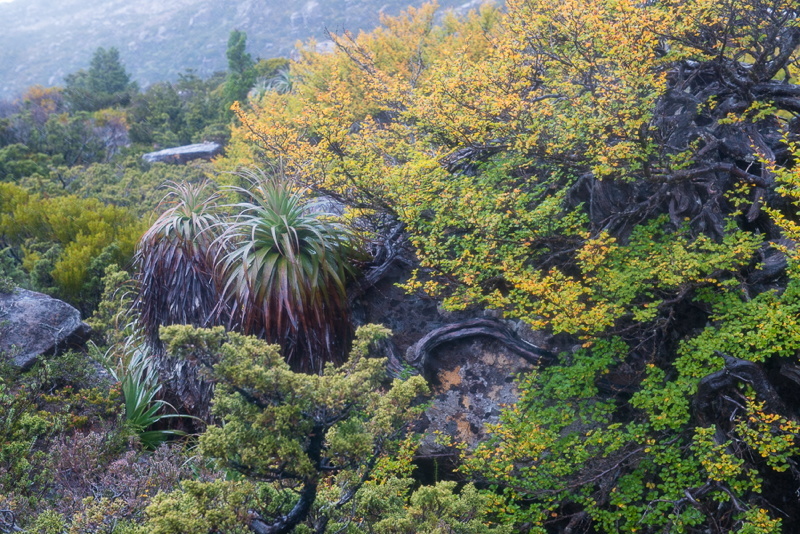 The ‘Nothofagus’ (Beech Trees) losing their leaves will make for some great images! Lunch will be a ‘packed lunch’ out in the field. Back for the afternoon for a break, dinner, then out for another sunset session at Dove Lake. This time around to the famous ‘Boat Shed’. We will also have a bit of fun doing some ‘astro photography’! A second attempt at sunrise at Dove Lake, followed by breakfast. 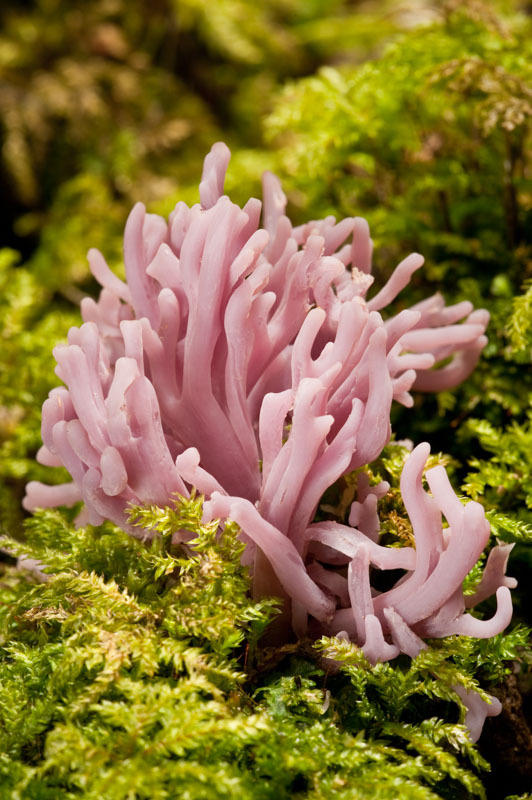 We will then spend the morning photographing the rainforest landscapes and fungi along the ‘Enchanted Walk’ and ‘Waterfalls Walk’, which include the waterfall at Pencil Pine Falls. Back for lunch, then Ben will present his second Adobe Lightroom session. 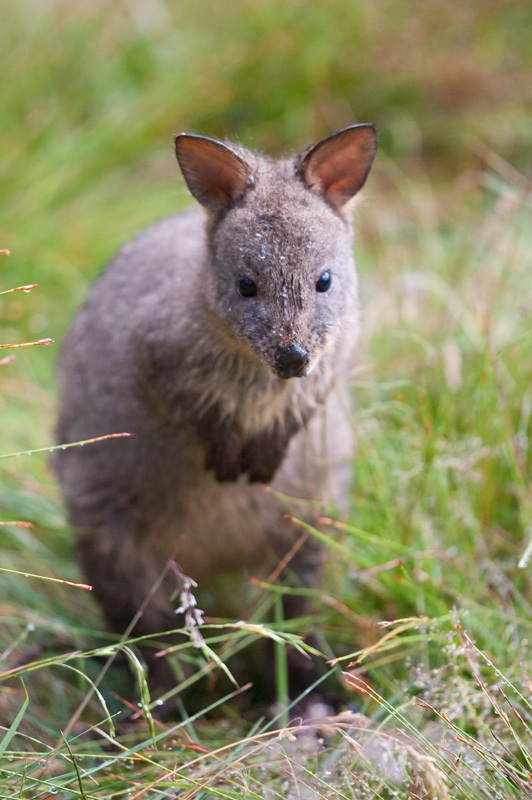 Some free time to visit the wonderful images in the Wilderness gallery, then in the late afternoon, we head to Ronney Creek to photograph echidnas, wombats and wallabies! Autumn weather is very changeable, especially in the mountains and west coast. Participants would be well advised to check the Bureau of Meteorology’s weather forecast for Cradle Mountain in the days leading up to the Workshop before making final decisions on what to pack, but as with any outdoor activities, it is important that you are properly prepared for all kinds of weather. A substantial list of items to bring will be forwarded to you during the booking process. Warm and water proof clothing is essential, as is all your own personal camera gear. Your position on the tour will be guaranteed immediately upon payment of non-refundable deposit of AU$500.00 (plus GST). The balance will be due 45 days before the start of the tour date. Cancellation Policy: Cancellation between 60 and 30 days before departure - 50% of total tour price. Cancellation less than 30 days before departure or during tour, no refund given. 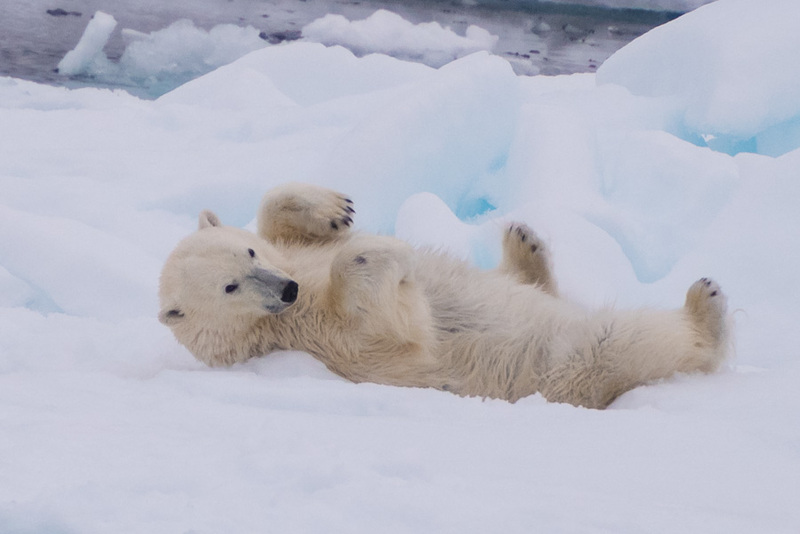 Join Australian-based Pro Photographer and Tutor, Michael Snedic, on this exciting 11-day Photo Expedition, travelling through the Arctic around the archipelago of Svalbard. We will travel by ship and explore the coast, attempting to circumnavigate the island if ice conditions allow. 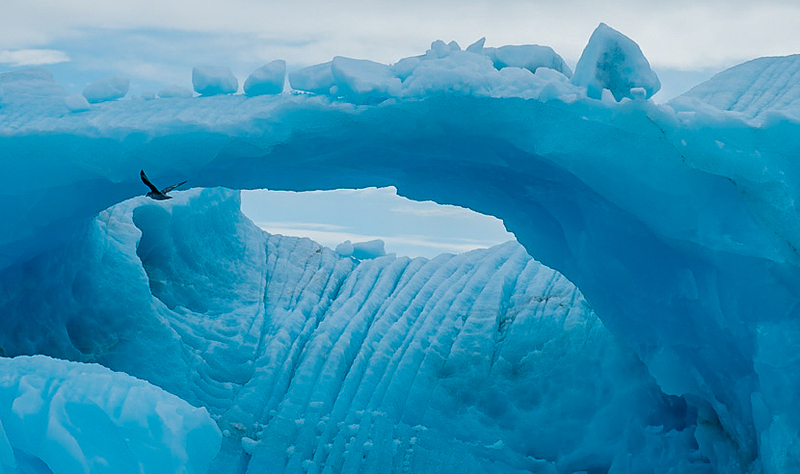 Michael led a booked-out Photo Expedition to Svalbard in 2016, to absolute rave reviews (with a second, fully-booked photo expedition in June 2018). For the photo tour participants, it was the ultimate trip of a lifetime, with plenty of 'once-in-a-lifetime' photos taken during the trip. 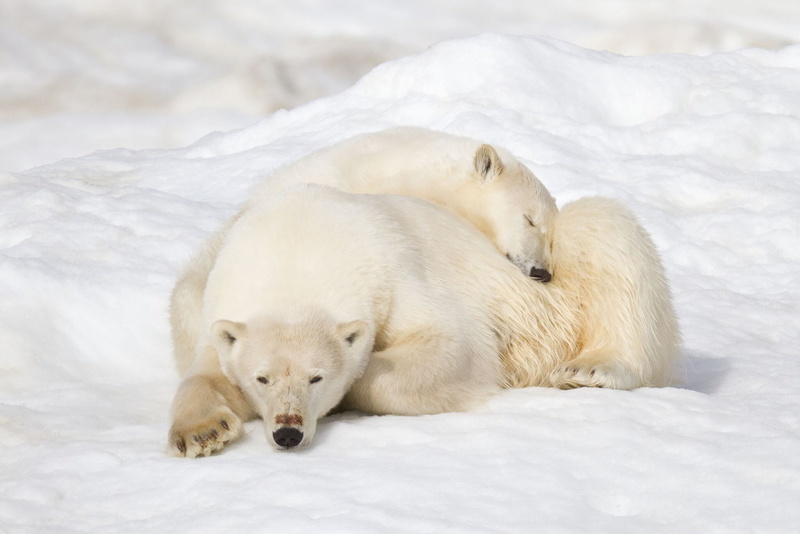 We will be seeking and photographing iconic Arctic wildlife species including polar bears, reindeer, foxes, walrus and other seals, whales, auks, puffins, and many many more, as well as stunning glacial landscapes. We will have 9 participants on this photo tour, led by professional nature photographer and tutor: Michael Snedic. Photographers of all experience levels are welcome. Michael will be guiding you and supporting your photography during the expedition. Not just in taking photographs in the field, but also in reviewing your photos, and receiving feedback, along the way. One of the added benefits of joining this photo adventure is that should there be any issues with your camera settings, or getting sharp, clear images, Michael is with you to assist and advise on every zodiac trip and landing. There will be many opportunities to photograph from the ship also. 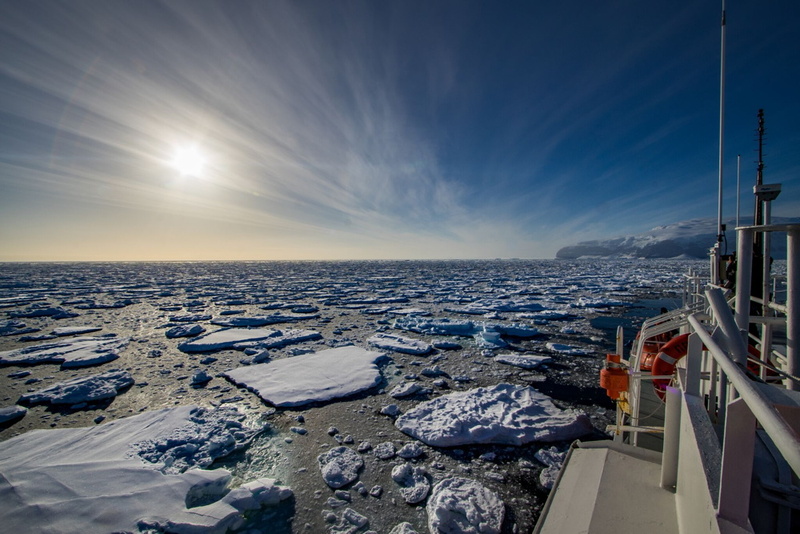 Landscapes, icebergs, and lots of wildlife, as we sail amongst them. 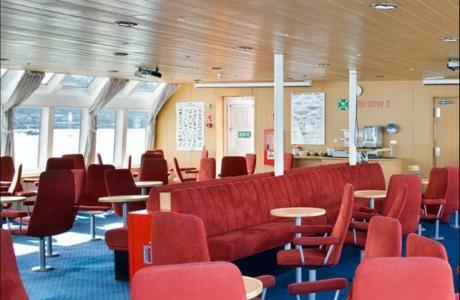 The ship will also have non-photographer passengers. While we will be mingling with them and sharing the ship and the general Arctic experience, the photographic advice/instruction will be for our group. On outings we will usually operate as a group, with Michael in one zodiac with his photography participant. WildNature Photo Expeditions works closely with the Quark Expedition Team throughout (and before) the voyage to optimise operations on both sides to help everyone. 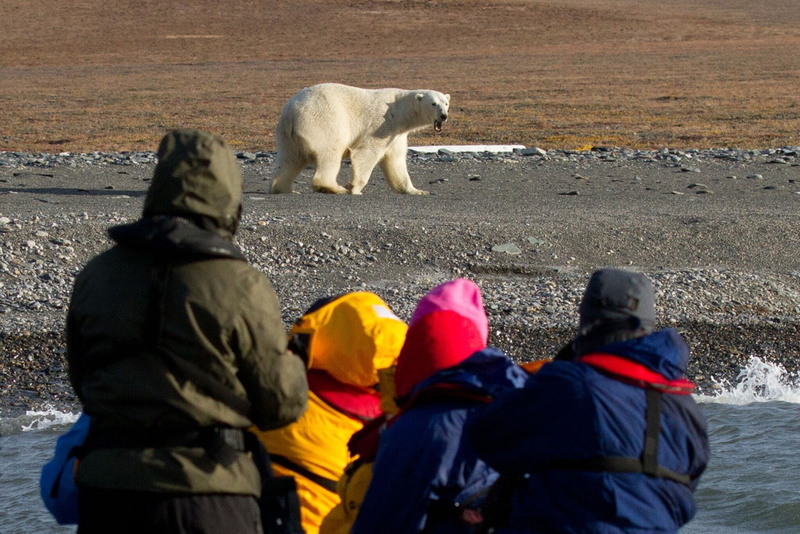 On this expedition you will have access every day to professional nature photographer and instructor, Michael Snedic, there to help you photograph the stunning wildlife we will encounter, especially polar bears. He will be conducting a series of classes throughout the voyage, as well as being on-hand throughout the outings. As a full-time professional, Michael is an accredited member of the Australian Institute of Professional Photographers (AIPP). 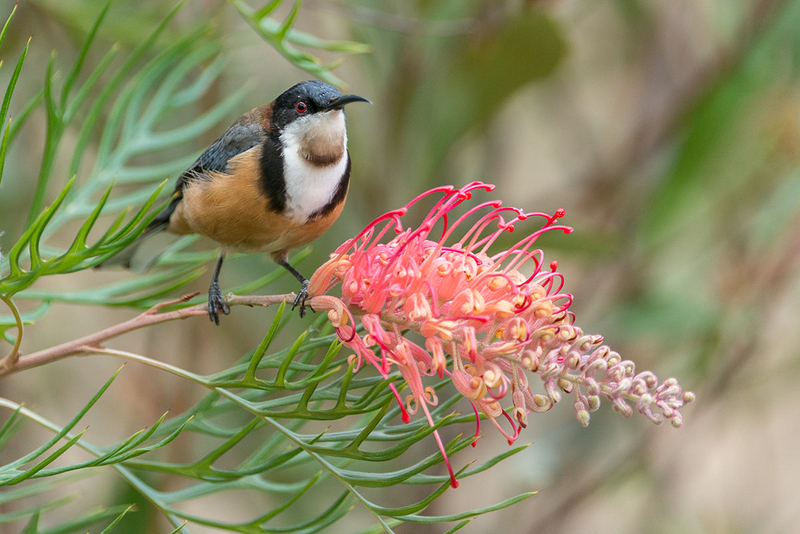 As well as being experienced an experienced wildlife/nature photographer, he is also one of Australia's most experienced photographic tutors (15 years). 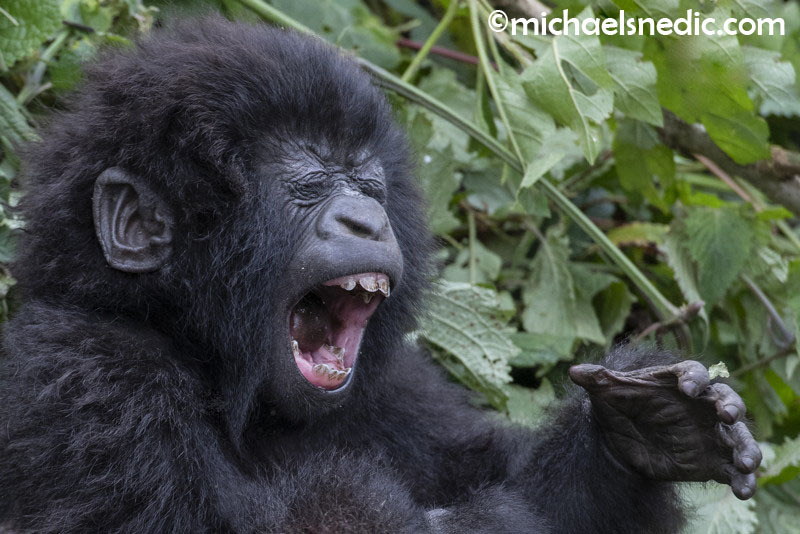 Michael is an experienced (20 years+) and widely-published wildlife and nature photographer, writer and tutor. His articles and images have featured in many magazines, calendars, diaries, books, brochures, billboards and many other publications. 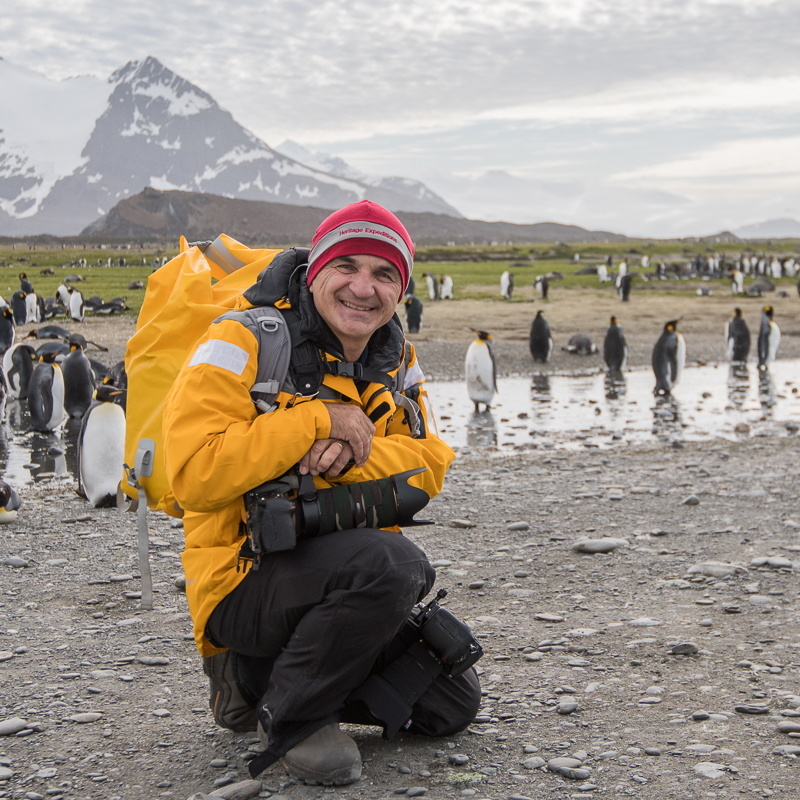 He is the author of two books on Australian wildlife and a Lowepro Ambassador for Australia, a Lenscoat Ambassador, as well as The Nature Conservancy's Photo Competition Ambassador, both in 2015 and 2016. Michael regularly presents audio-visual presentations at photographic organisations, and has been conducting photography workshops and tours across Australia for the past 15 years. He also conducts overseas photography tours to Africa, Antarctica, the Subantarctic, the Russian Far East, Galapagos Islands and India. Michael loves sharing his photographic knowledge and passion with photo expedition participants, helping them improve their photographic skills. This morning we’ll have our first photography briefings and warm-up opportunities. 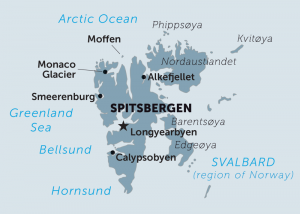 We will spend some of the morning exploring Longyearbyen with a local guide, and there may be some last-minute shopping opportunities (as a frontier town there are some serious outdoors stores here). Also anyone whose flights or connections were delayed have a chance to catch up with us today. In the evening we board our ship, the Ocean Nova, operated by Quark Expeditions and set sail. The wildlife and scenic opportunities will start almost immediately! 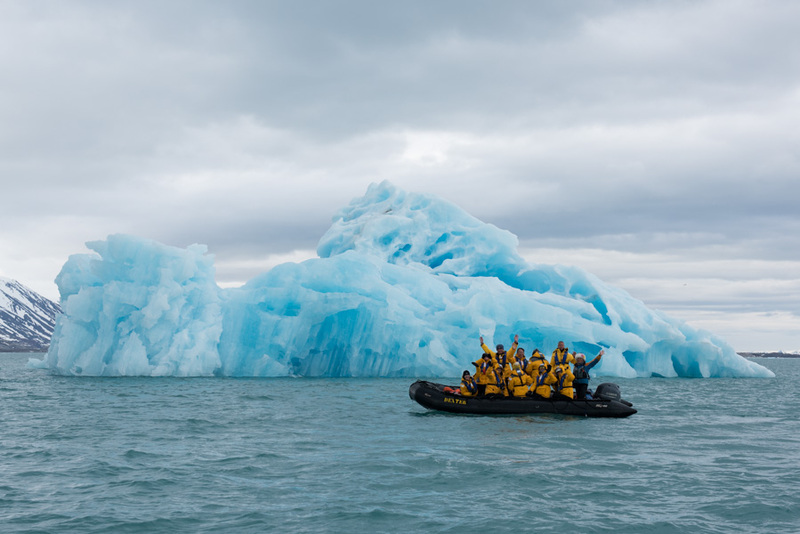 In some areas we will explore the stunning scenery from aboard the ship, but we will often transfer into the inflatable Zodiacs to explore bays, islands, icebergs, and to land at most sites. Michael will present both group and one-on-one photography sessions and with continuous daylight during this time of year, photo ops abound. 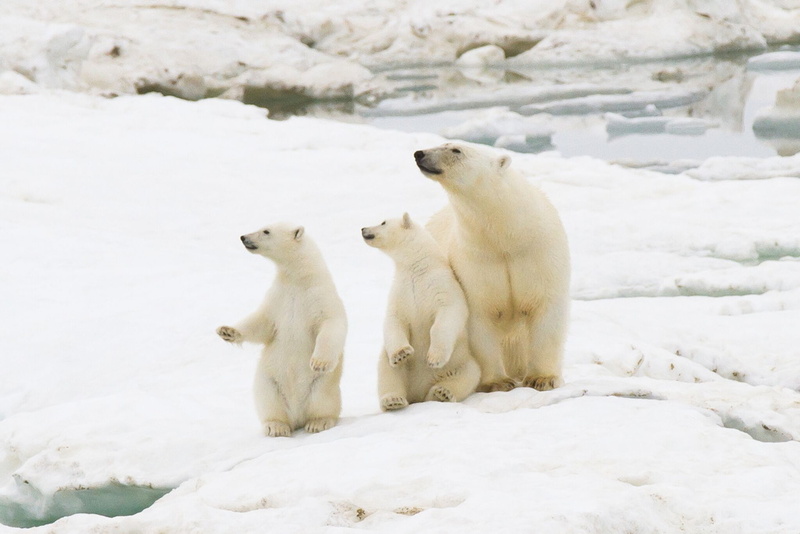 You’ll have ample time to linger and photograph any bears we find hunting on the ice edge, but they’re not the only wildlife we hope to encounter. 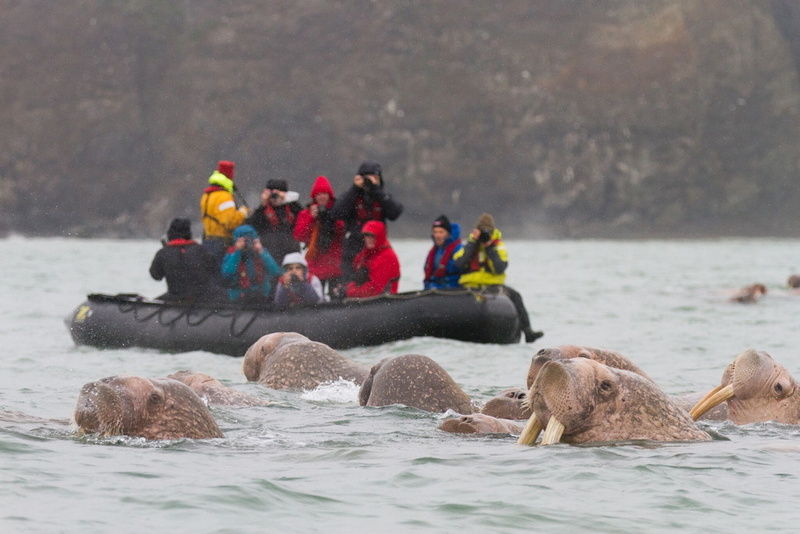 The food-rich waters attract walrus, whales and seabirds, so you’ll want to keep your binoculars nearby while cruising. 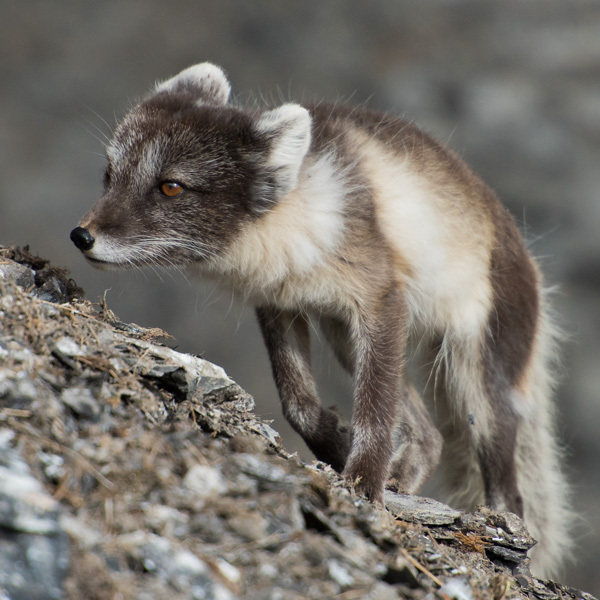 Arctic fox and the indigenous Svalbard reindeer may also be spotted on Zodiac excursions to shore. 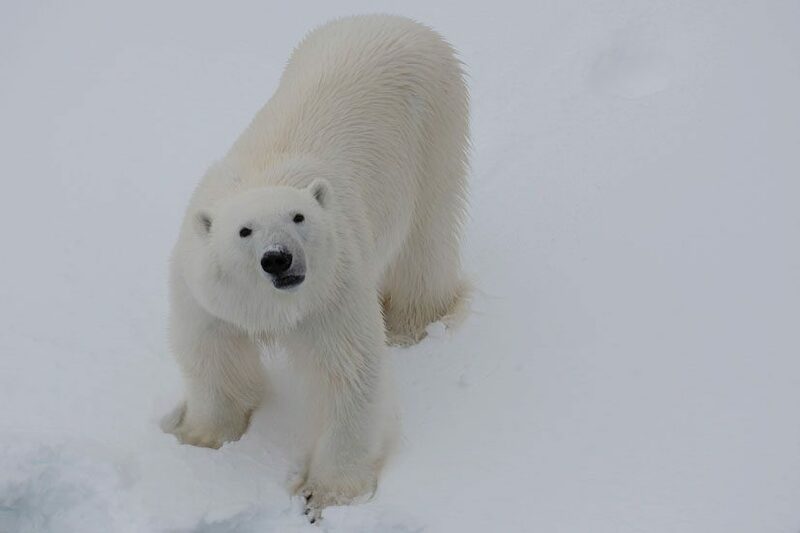 A haven for present-day explorers, Spitsbergen and the surrounding area offer unforgettable polar experiences that will keep you and your camera active all expedition long. 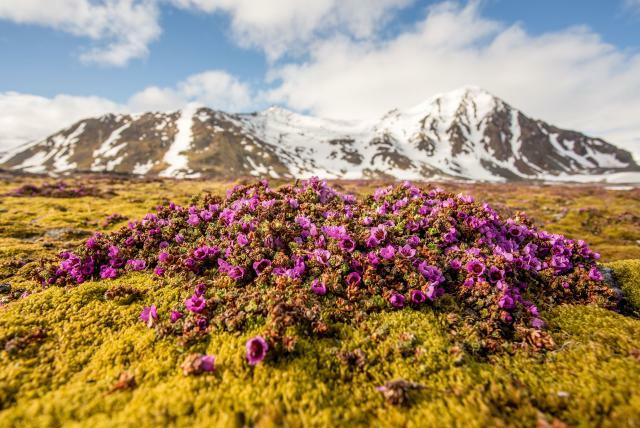 Although 60 percent of the landscape is covered in glaciers and much of the terrain is mountainous, Spitsbergen (which means “pointed mountains”) surprises with stretches of colorful tundra, bursting with wildflowers in summer. Optional hiking activities get you up close and personal with the abundant wildlife. At day’s end, you’ll have plenty of prized photographs and exciting stories to share with your shipmates! 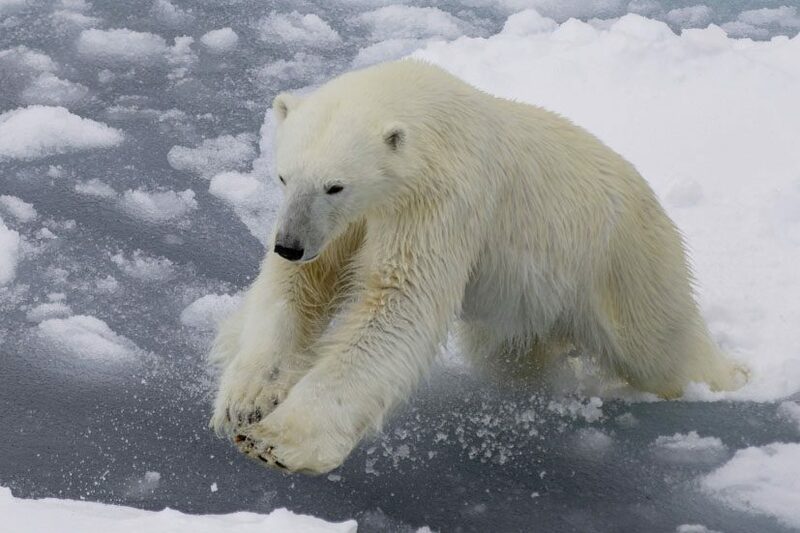 There’s a huge range of environments around Svalbard, and every day will present new subjects. Sometimes the sky is clear and blue, sometimes it’s overcast and grey, sometimes we will see parhelion and “sun-dogs”, but the sun will never actually set (unless it’s behind a mountain). 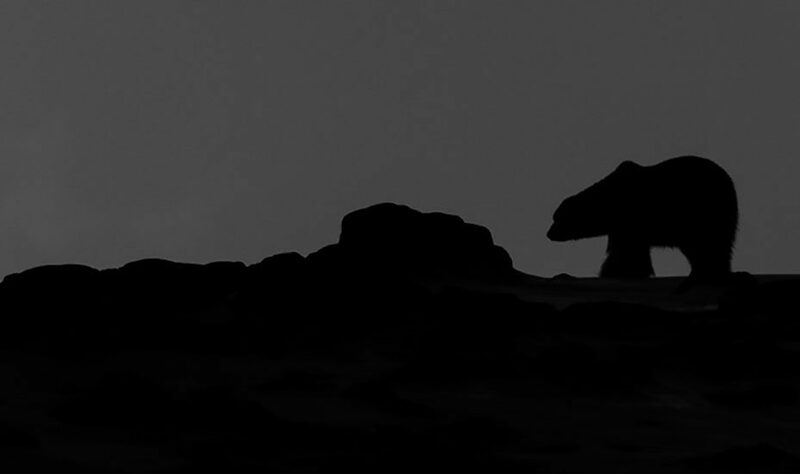 You may even end up photographing some wildlife under a midnight sun. The days will be busy, often with several off-ship expeditions per day. Michael will be conducting a series of group and individual lessons along the way, including giving you feedback on your work. We want you to come back with the best images you can, as well as with new skills. 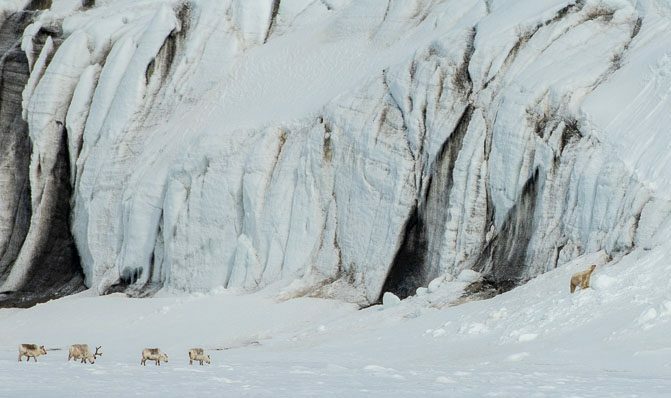 PLEASE NOTE: It is recommended that you arrive in Longyearbyen on the 5th of June (or earlier if you wish to spend some time exploring on your own). Boarding of the Ocean Nova will take place on the evening of the 6th of June. The ship will depart in the evening and cannot wait for anyone on delayed flights. As weather in the region can be a bit temperamental, flight delays do happen. To keep the start of your adventure as stress free as possible, arriving early is a good idea. Anyone in normal good health can join us on this adventure. There are no special fitness requirements, although we will be often climbing into and out of the inflatable Zodiac boats, and walking on shore. Living on the ship sailing in unfrozen water, the outside temperatures are sometimes close to freezing. But it is summer and at times in the sun it can be quite warm. The ship has a doctor and basic medical facilities on board. If you have specific health concerns or dietary requirements the staff at Peregrine will be able to advise you. There’s also a gym on board if you feel the need to get extra workouts. Actually, with the excellent meals provided on these trips it’s not hard to put weight on, so some people like this option. We will be travelling on a ship but while we can occasionally be exposed to storms and heavy seas, most of the time the coast and ice provides a lot of protection. We’re not on the open ocean! There are a variety of cabin classes, from triple-berth cabins up to a selection of twin-share cabin types. 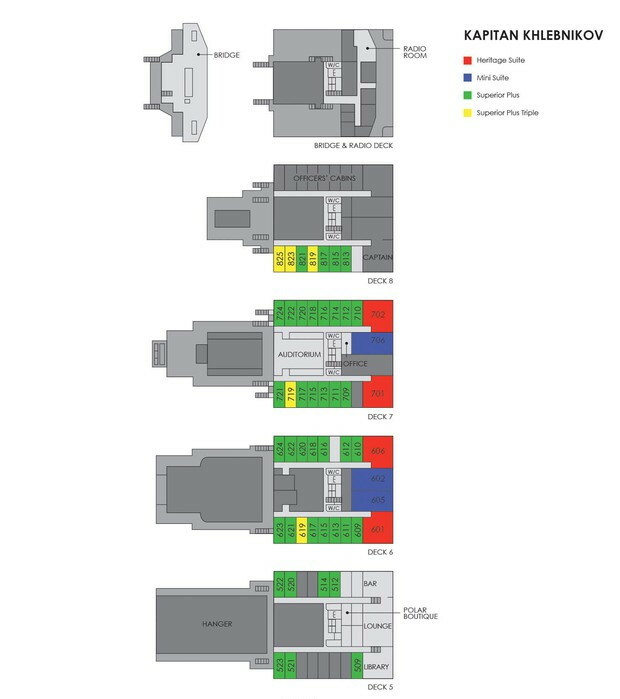 As usual with these ships your choice of berth/cabin type directly impacts the price of your ticket. Prices are per person. All these prices are in Australian dollars. A 20% non- refundable deposit is required to secure your place (based on full fare). The trip is being put together with our partners at Peregrine Adventures and they take care of the travel arrangements for us, while we are running the photography program and will be your local contacts on the trip. 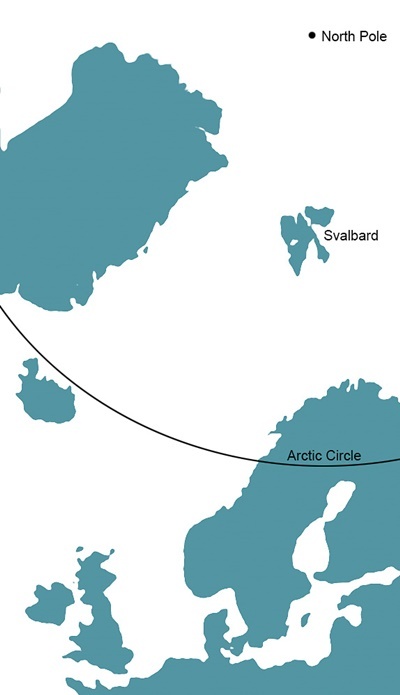 Travel to/from Longyearbyen is not included. Peregrine can of course arrange flights and accommodation for you as part of a package, but you’re free to make other arrangements. Photography tuition throughout the expedition by professional wildlife/nature photographer and tutor, Michael Snedic. Coffee, tea, cocoa and home-made biscuits available around the clock. 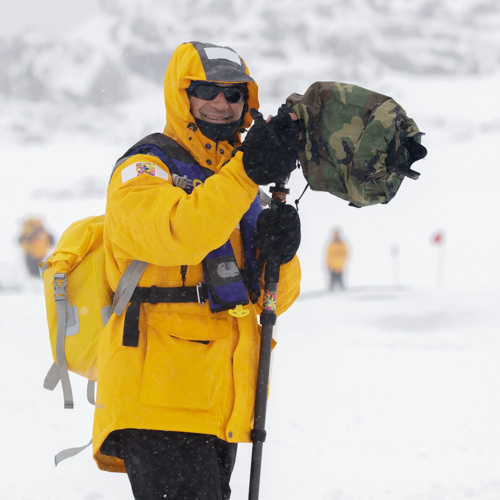 A waterproof expedition parka is supplied on board for you to keep. Airfares and other travel expenses to/from Longyearbyen. 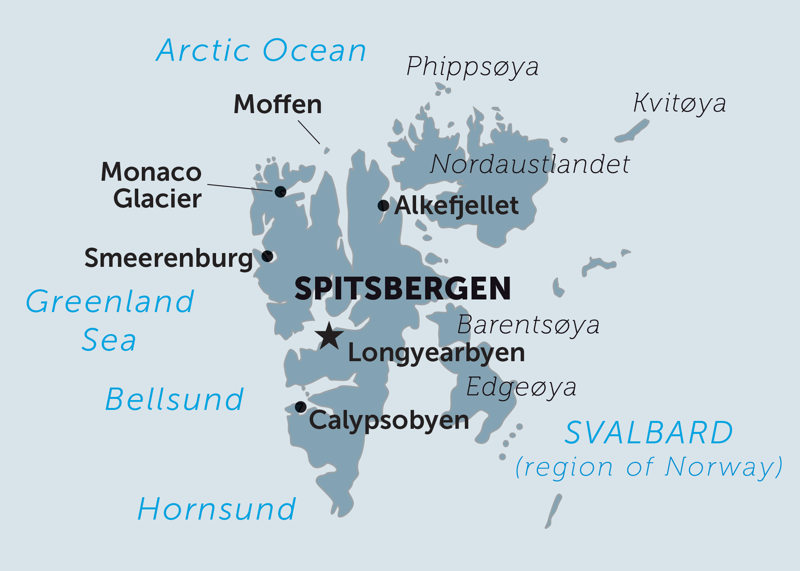 Meals in Longyearbyen (other than as above). One night's accommodation at Longyearbyen, before the expedition starts. Onboard bar, laundry, and telecommunications charges. Limited onboard internet access is usually available. Tips (voluntary) for the crew (suggested US$13- $15 per day per person). To reserve your place or to ask any questions about this exciting Photo Expedition, please contact Michael via the contact form or via phone at +61 408 941 965. 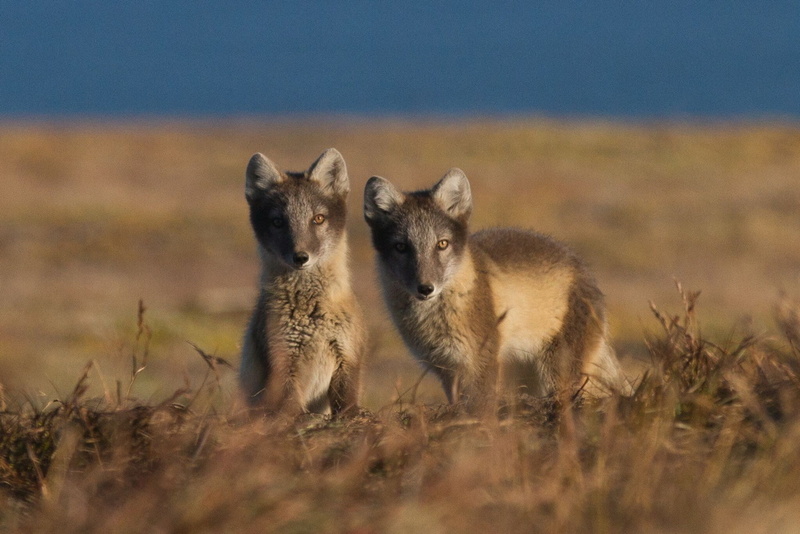 Join us on this 15 day Russian Arctic Photographic Expedition, in the Russian Far East. 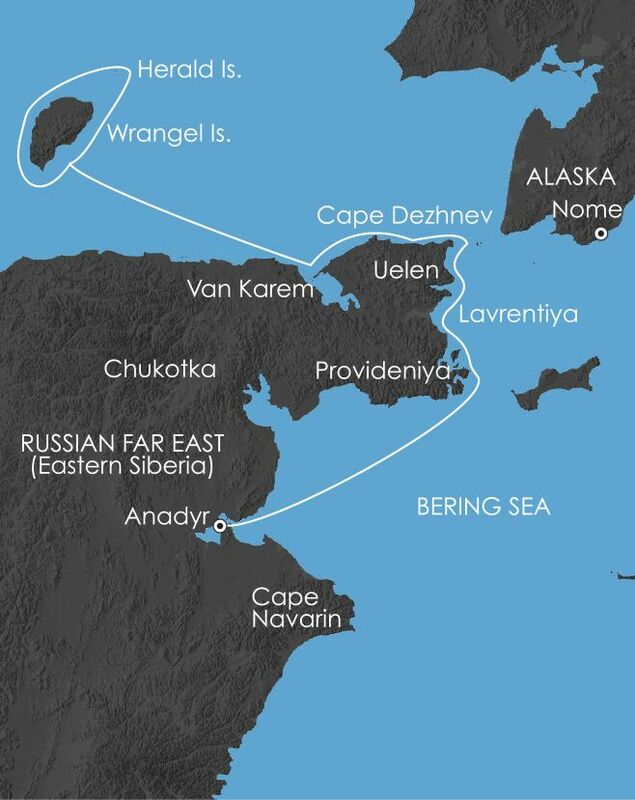 This unique expedition crosses the Arctic Circle and includes the isolated and pristine Wrangel and Herald Islands and a significant section of the wild North Eastern Siberian coastline. 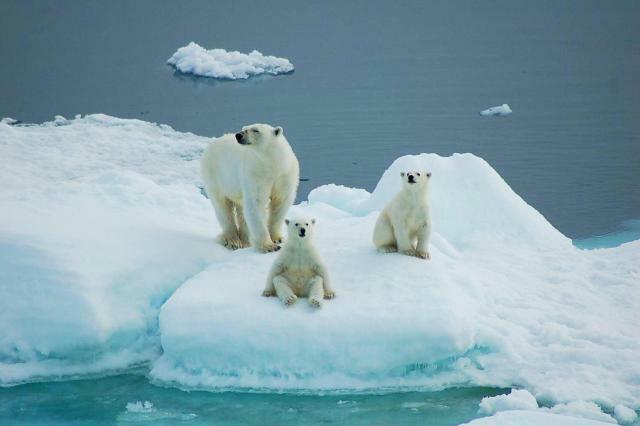 It is a journey only made possible in recent years by the thawing in the politics of the region and the retreat of summer pack ice in the Chukchi Sea. The very small distance between Russia and the USA along this border area was known as the Ice Curtain, behind which then and now lies one of the last great undiscovered wilderness areas in the world. for the Gray Whales that migrate thousands of kilometres north from their breeding grounds in Baja, Mexico. Reindeer, Musk Ox and Snow Geese can normally be seen further inland. A visit to massive bird cliffs on nearby Herald Island is also planned. The ‘mammoth steppe’ vegetation complex, a rich and diverse relic from the Pleistocene epoch nurtures over 400 plant species and never fails to astound visitors with its sublime beauty. We will have a maximum of 10 photographers on this expedition, being led by professional nature photographer and tutor, Michael Snedic. As we travel around the sea, we will be photographing from our ship, from Zodiacs, and from land. Photographers of all experience levels are welcome. 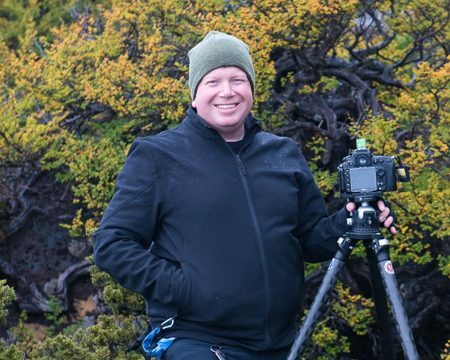 Michael will be guiding you and supporting your photography during the expedition. Not just in taking photographs, but also in reviewing images and image critique sessions. On this expedition you will have access every day to Michael Snedic, a professional nature photographer and experienced instructor. 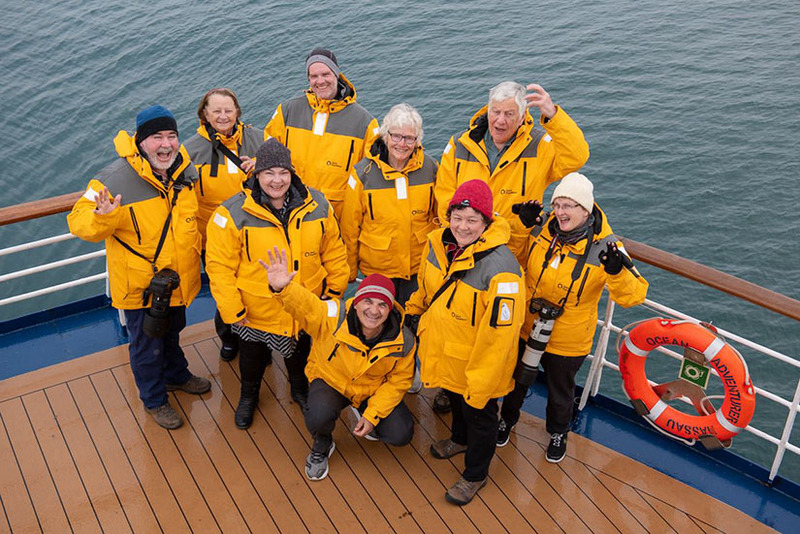 Michael is there to help you photograph the stunning scenery and wildlife we will encounter.He will be conducting a series of classes throughout the voyage, as well as being on-hand throughout the outings. Michael is an experienced (22 years) and widely-published photographer, writer and Photo Expedition Leader (17 years). His photography articles and images have featured in numerous publications in Australia and across the world. Michael is owner of WildNature Photo Expeditions and presents exciting photography workshops and tours to many wonderful photographic and travel destinations. Michael is also a Nikon School Tutor for Australia. Michael loves sharing his photographic knowledge and passion with workshop participants, helping them improve their photographic skills. No matter what brand or model of camera you own (Nikon, Canon, Sony, Olympus, Pentax, Fuji or Panasonic) Michael can help! Those departing from Nome, Alaska, should arrive in Nome before midday and preferably the previous night. On arrival, you should check in with Bering Air at the Nome Airport who will have details of our charter flight. During this flight you will cross the International Date Line, arriving into Anadyr on Day 1 of the expedition. You will clear Russian Customs and Immigration. ll expedition members will arrive in Anadyr; depending on your time of arrival you may have the opportunity to explore Anadyr, the administrative centre of the Chukotka region, before getting to know your fellow voyagers and crew on board the Akademik Shokalskiy. If flights have been on time we plan to depart Anadyr this evening. As we depart you are invited to join the captain, officers and the expedition team on the bridge. The Anadyr estuary is renowned for its Beluga Whales. As we sail across Anadyrskiy Bay towards the Bering Strait there will be introductory lectures, an introduction to the staff and ship and a series of compulsory briefings and drills. There will also be a chance to relax or enjoy some ‘birding’ with our naturalists and/or settle into ship life and for many of you adjust to the time changes. We arrive in Lavrentiya Bay this morning to visit the Chukchi Region’s administrative centre of Lavrentiya. The place takes its name from James Cook, who landed here on St. Lawrence’s Day in 1778. We will explore the township and have the opportunity to view the mythical figure ‘Pelikan’, a Chukotkan sculpture which is said to have special powers, we will also visit the local museum which displays an interesting insight into Yupik and Chukchi cultures. There may be an opportunity to view Chukchi song and dance and to interact with the locals. Sea conditions permitting, we will land at Cape Dezhnev this afternoon. The north-eastern most point of the Eurasian continent, it is sometimes possible to see the coast of America from this remote and lonely outpost. It is also an historic landmark named after the Siberian Cossack, Semyon Dezhnev, who in 1648 became the first European to sail from the Arctic to the Pacific. A steep scramble from the beach brings you to an abandoned Border Guard base, a monument to Dezhnev and another to all the sailors who have sailed these seas. Cape Prince of Wales in Alaska lies 89km across Bering Strait. This tiny rock in the middle of the Sea of Okhotsk is covered in birds, with sea-lions thrown in for good measure to fill the gaps. There’s no room for us to land, but we expect to photograph guillemots, kittiwakes, and various species of auklet (and sea-lions of course). This group of islands is in the western corner of the Sea of Okhotsk, and is the last place to thaw out in summer. While the ice can restrict where we go, it does increase our chances of seeing seals, especially the iconic Ribbon Seal. Another birding hot-spot, this is a breeding location for many species. Spectacled, Common and Brünnich’s Guillemot, Ancient Murrelet, Rhinoceros, Crested and Parakeet Auklet, Horned and Tufted Puffin: the list goes on. Of course this also supports a population of Steller’s Sea-eagles. As well as exploring the islands from the water and landing in the one permitted location, we also get to explore the taiga forest on the mainland. As we sail south there will be opportunities to download memory cards, share conversations and recap on our time at Wrangel Island. Line. Here Russia and America are separated by only 2.3 nautical miles of ocean. We will remain in Russian territory as we cruise south past the islands. 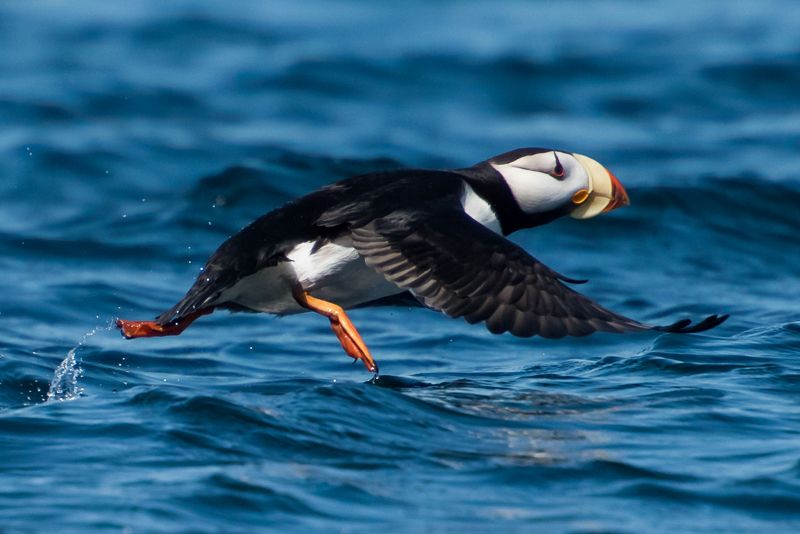 the bird numbers in this region are spectacular, especially puffins. We continue along the North Siberian Coast, although well mapped and charted, there have been very few Expedition Cruises and consequently there is a lot of scope for expedition landings. Depending on weather and sea conditions we will attempt an expedition landing today. There are several choices, at Cape Vankarem there is a seasonal large walrus haul out, the animals may or may not be present. 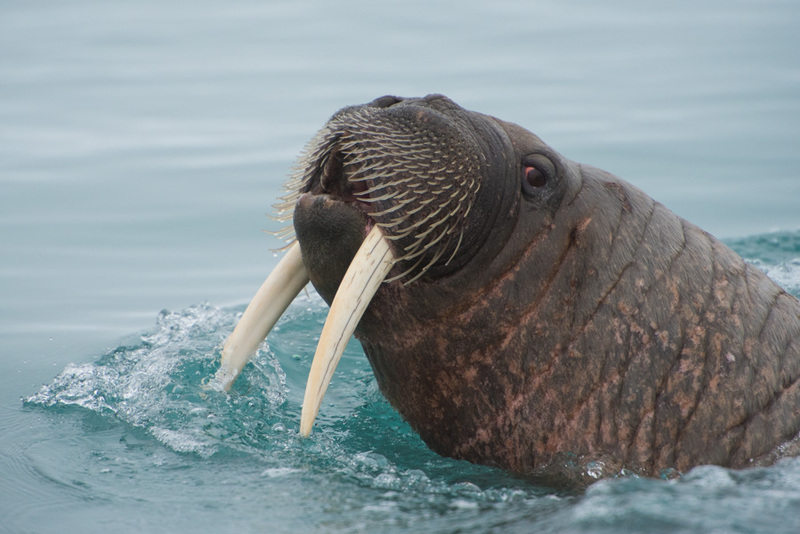 The area around the Cape is bounded by narrow sand ridges with numerous coastal lagoons and inlets; nearby there is a small Chukchi village whose residents still make their living hunting walrus, seals and whales. There is another smaller Chukchi village called Nutepelmen which is situated on a spit at the entrance to Pyngopikhin Lagoon, further west of Cape Vankarem. 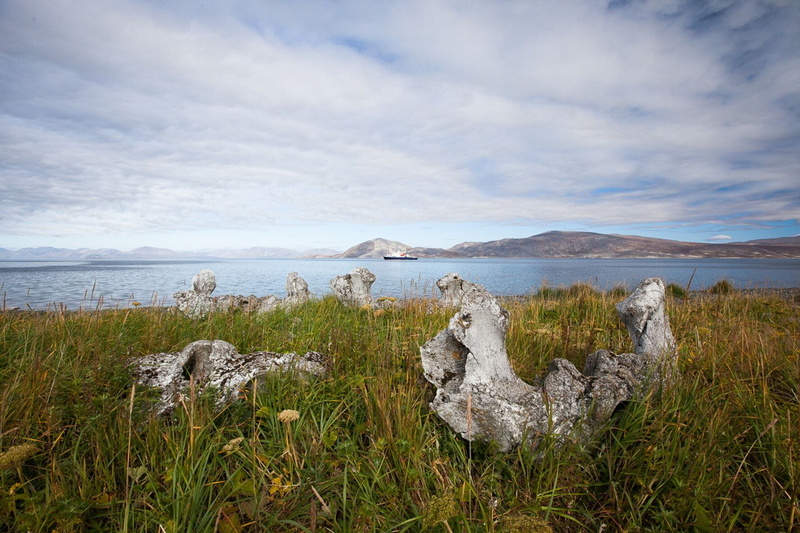 This afternoon we plan to visit Masik Village, an archaeological site at Mechigmen Bay which is part of Beringia National Park. This site consists of subterranean dwellings, food caches and possible ceremonial structures where materials used in construction were whale skulls, ribs and jawbones. Gray Whales are frequently seen around the island. 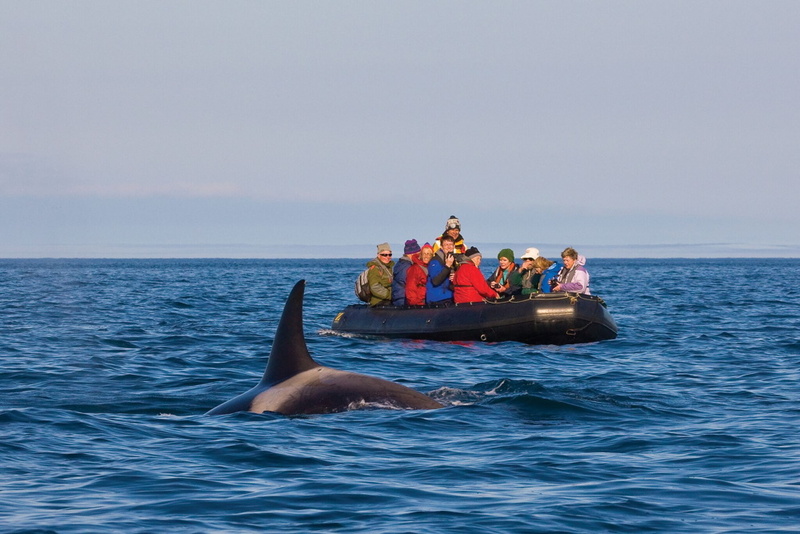 After landing at Whale Bone Alley we will take the Zodiacs on a whale-watching excursion. We will also cruise close inshore of neighbouring Nuneangan Island (Bird Island) where a large number of seabirds nest. 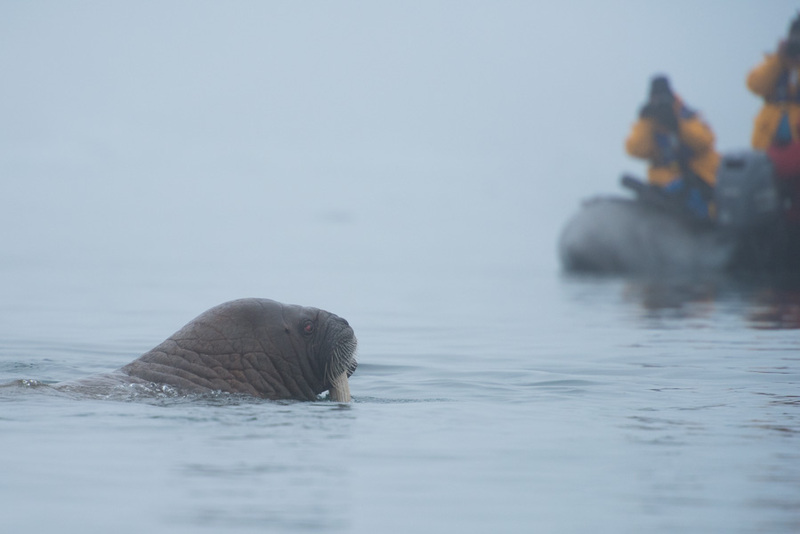 On nearby Arakamchechen Island there is a prominent walrus haul out; if the animals are present we will land and walk across the tundra to view them from the cliffs. Today we will be in the vicinity of Preobrazheniya Bay where there are some outstanding ‘Bird Cliffs’ which we will Zodiac cruise, the rock faces, ridgelines and soaring granite spires are home to an abundance of bird life. Species that can be seen include Common and Thick-billed Murres, Black-legged Kittiwakes, Least and Crested Auklets, Vega Gulls and Arctic Tern. 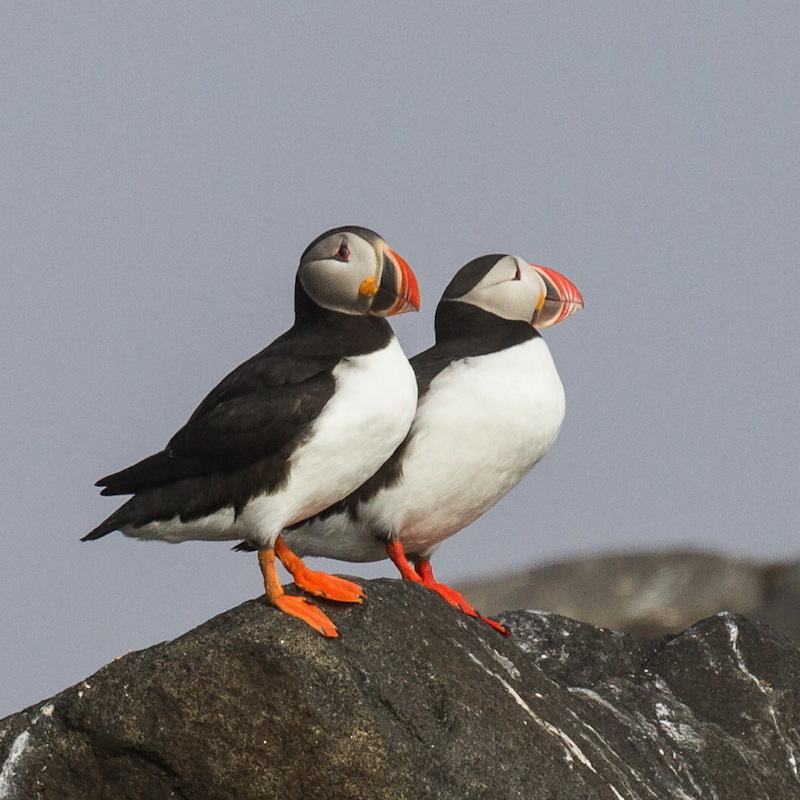 Both Horned and Tufted Puffins are normally in vast numbers stretched along cliffside grasses. 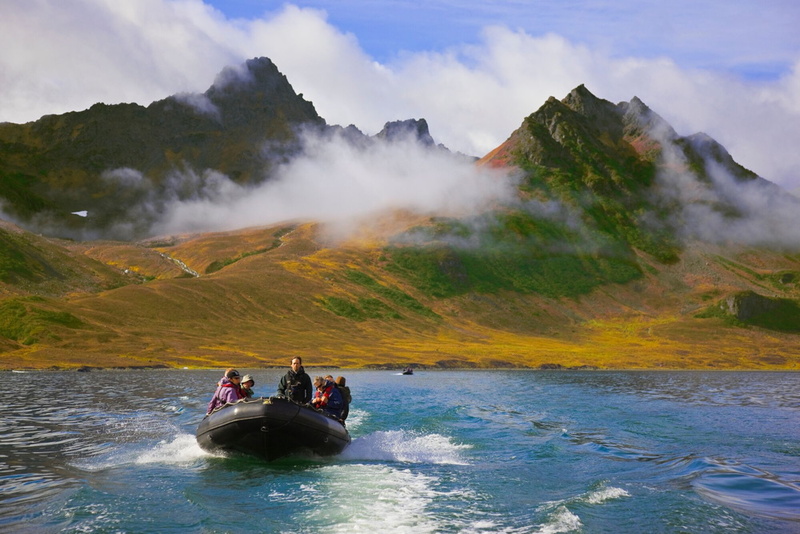 This evening join the staff for an expedition recap and a disembarkation briefing, and then simply relax as we sail across Anadyrskiy Bay towards Anadyr. Tonight we will enjoy a farewell dinner to celebrate our journey. After breakfast it will be time tosay our farewells. There will be a complimentary transfer to the airport or to a hotel of your choice. Those returning to Nome will join a charter flight that will depart Anadyr around midday and, because of the International Date Line will arrive back in Nome on the evening of the previous day. However, we strongly advise that you do not book any onward travel from Nome until the following day to allow for possible delays in the charter flight. Those returning to Moscow can either be transferred to the airport or hotel in Anadyr, depending on their flight times. Note: During our voyage, circumstances may make it necessary or desirable to deviate from the proposed itinerary. This can include poor weather and/or opportunities for making unplanned excursions. Your Expedition Leader will keep you fully informed. Anyone in normal good health can join us on this adventure. There are no special fitness requirements, although we will be often climbing into and out of the in atable Zodiac boats, and walking on shore. 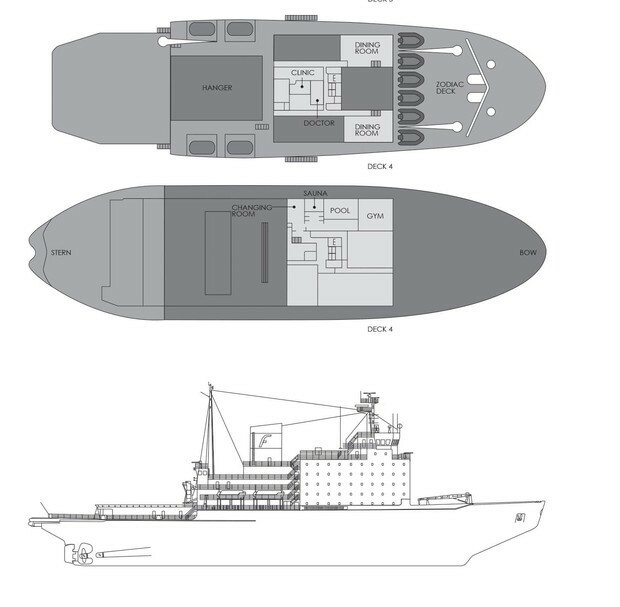 The ship has a doctor and basic medical facilities on board. If you have specic health concerns or dietary requirements the staff at Heritage will be able to help. 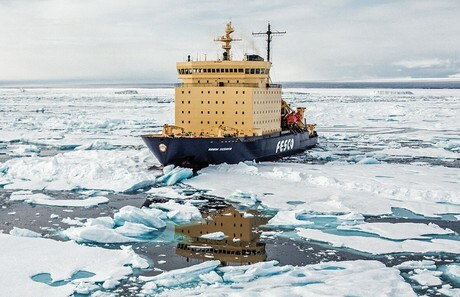 Built in 1981 by Finland's Wärtsilä Company and one of four Kapitan Sorokin-class icebreakers, Kapitan Khlebnikovwraps comfortable surrounds in a formidable, ice-reinforced vessel powered by 24,000 horsepower diesel-electric engines and is capable of breaking ice as thick as two metres. All breakfasts, lunches and dinners onboard. Coffee, tea, cocoa available around the clock. All expedition zodiac and shore excursions. Passport/visa expenses. We provide assistance with Russian visa paperwork, but you’re responsible for the actual visa. Personal/travel insurance coverage. Heritage will discuss with you the required insurance coverage (due to the remoteness of our destination). 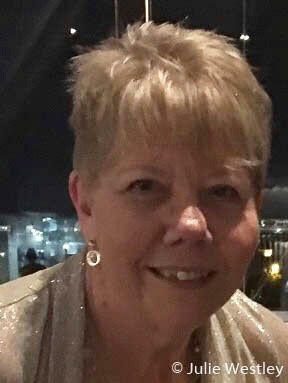 Onboard bar, laundry, gratuities and telecommunications charges. Internet access is not available onboard. The trip is being put together with our partners at Heritage Expeditions in Christchurch, and they take care of the bookings and travel arrangements for us, while I run the photography program. 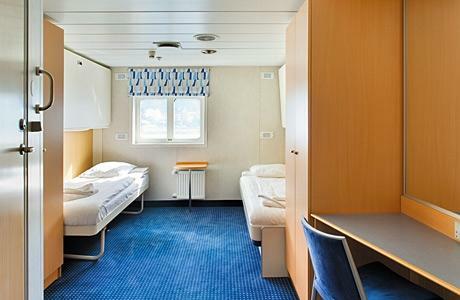 There are a variety of cabin classes, mostly twin- share cabins. Your choice of berth/cabin type directly impacts the price of your ticket. The twin-berth cabins can be reserved as single cabins for 1.8x the standard price. There’s also a mandatory charge of US$500 per person to cover local fee payments. These prices are in US dollars per berth. A 25% deposit is required to secure your place. Michael Snedic: Contact Form or call +61 408 941 965. 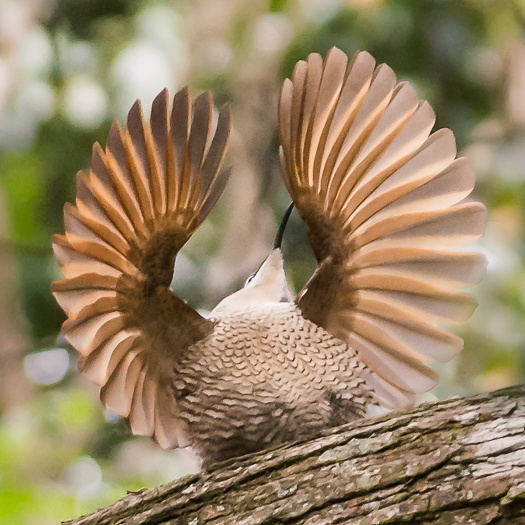 Come and spend two days in Queensland’s beautiful Bunya Mountains region, photographing the many species of birds found there in spring. 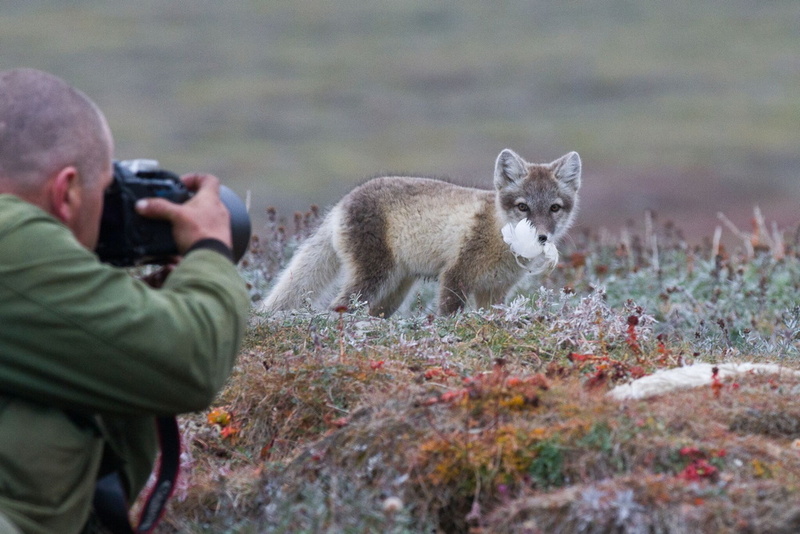 The workshop is hosted by professional wildlife photographer and tutor, Michael Snedic. Our first session starts with Michael presenting a session on how to photograph birds, no matter what camera you own or level of experience you have. 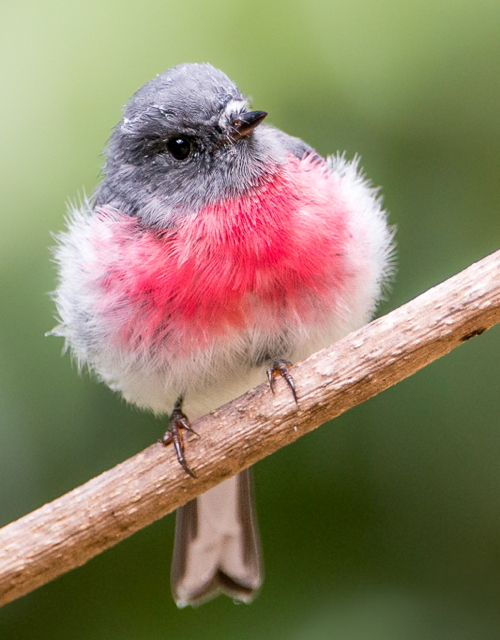 Subjects covered will include composition, apertures and depth-of-field, recommended shutter speeds, focus points, metering, lighting as well as the best photographic equipment to use for great bird photos. 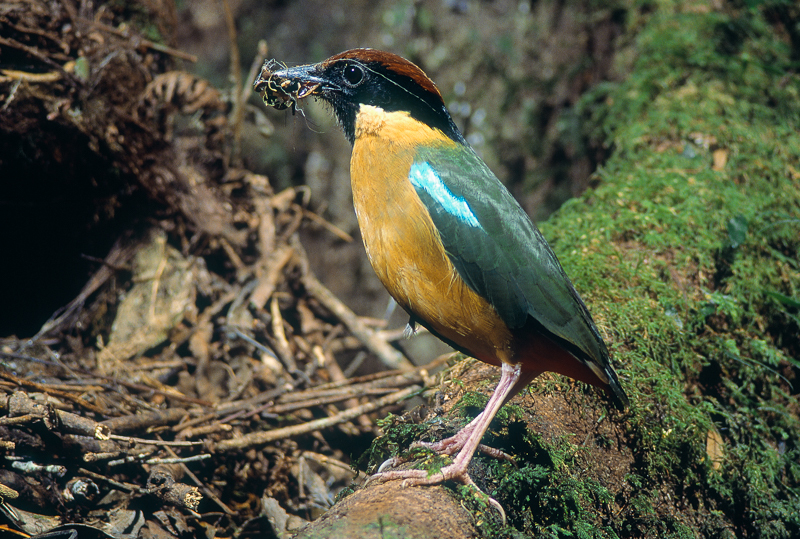 During the next session, we will head into the rainforest for some rainforest bird photography, where Michael will give tips on how to achieve great shots in different lighting conditions. After lunch, there will be a session on using flash for bird photography. This morning we head out to ‘Grass Tree Country’. Here we will spend the first half of the day photographing the birds that live there. 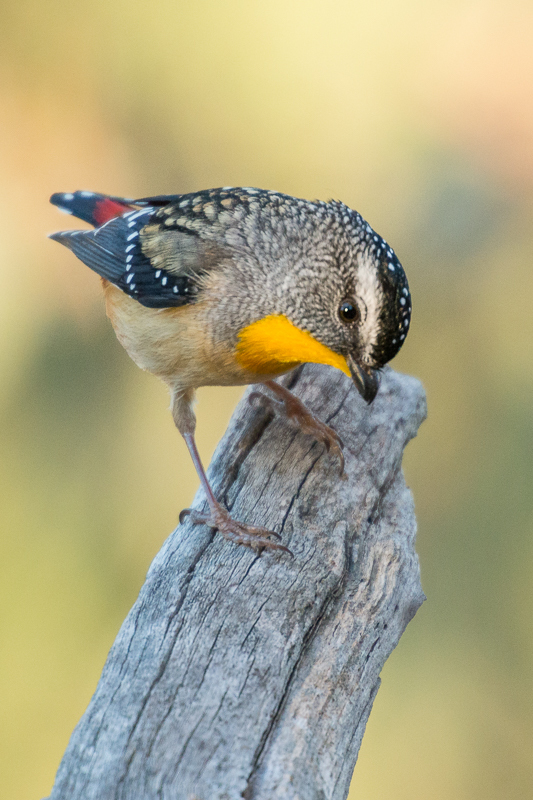 Species found may include Spotted Pardalotes, Mistletoe birds, various honeyeaters and many more. 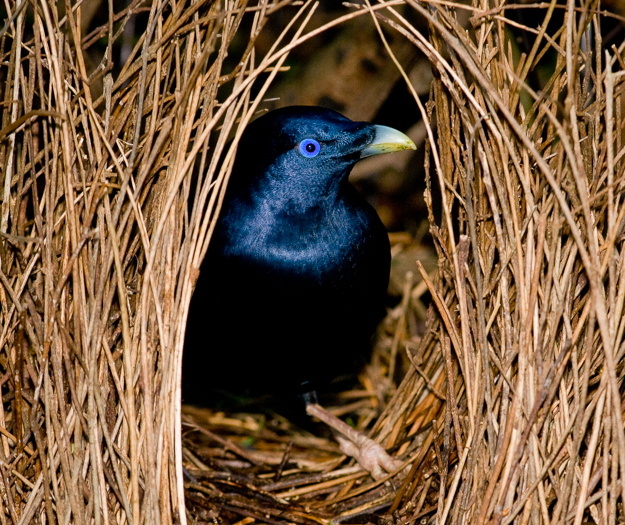 After morning tea, we will spend time searching for the Satin Bower birds in their bowers, plus other species. After lunch, there will be a session on how to best capture birds-in-flight. For our last session of the day, there will be a ‘Question and Answer’ session, where Michael will endeavour to help you with any issues you may still have with your bird photography. Choose whichever type of accommodation suits your needs and budget. You may camp in the nearby Parks and Wildlife campground or choose to rent one of the many houses available for rent. The link HERE takes you to the QP&WS, where you can book a campsite. The link HERE takes you to the Bunya Mountains Accommodation Centre, where you can book accommodation or call the staff for more information. Please bring your own (there is a small shop at the campground where you can buy some essentials). There are also restaurants/cafes available if you would like to buy your meals. 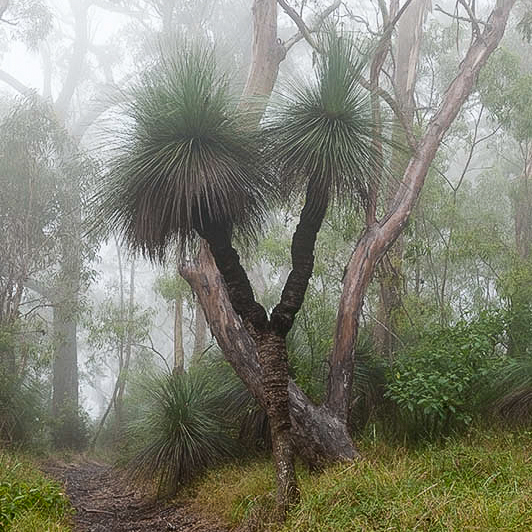 The Bunya Mountains are much cooler in summer than places such as Brisbane and the Gold Coast, due to its elevation. For more information on this workshop or to book your place, please contact Michael on +61 408 941 965 or by using the contact form. This workshop is covered by Queensland Parks and Wildlife Service permits. Photographers regularly ask me what the benefits of entering photography competitions are. In this article I am giving advice which will help you achieve better results, as well as some common errors people make. One of the great benefits of entering photography competitions is that it gives you a ‘challenge’ to work towards, which can be quite exciting. Being given a set subject and then going out with your camera to shoot that particular subject, makes you think carefully about how you would best tackle it. I always say to photographers to ‘think outside the box’ and definitely don’t copy last year’s winners, as it has already been done! I have judged numerous photography competitions over the past 15 or so years and to me, it’s not just the images that are technically well-executed that will win the awards. Sure, this is a good starting point but the images need to have that ‘something extra’, especially when you are judging a huge number of images. I am regularly surprised as to the number of images entered that are out of focus. Unless you are trying to capture a certain arty effect with your image, if it’s not sharp it will automatically be rejected in the first round. Carefully critque at each image before you enter. In the portrait section of a wildlife photography competition, there may be 20+ well-exposed and sharp images, that make it to the final round of judging. How do you choose which one is the standout? One of the 20 or so images may have been photographed with backlighting or the subject may be looking directly at you with a certain expression – this is what makes the image stand out. For wildlife behaviour categories, the winning image(s) are often a split-second moment captured perfectly and often one that is rarely seen. To capture images such as this, I suggest you study the individual’s (or group’s) behaviour beforehand. The animal may perform repetitive behaviour, which you can be primed and ready for. Also, patience is an absolute must if you are wanting to capture a special once-in-lifetime moment that could win you a photo competition. One problem that many photographers face is knowing which images to enter into a competition. Certain images may have emotive meaning to them personally, but don’t really stand out to a judge. Why not ask a fellow-photographer to critique the images you plan on entering? They can then give you an honest opinion as to which images stand out, and why. An important aspect of entering photography competitions is to READ THE RULES CAREFULLY. You will be surprised at how many great images have been disqualified from competitions, simply because the photographer didn’t read the rules properly. Another point worth considering is whether the competition organisers are using your images for commercial gain. This is becoming far more prevalent nowadays and will often be hidden in small print in the ‘Terms and Conditions’ section. Please read these terms carefully before you enter. Most importantly, if you haven’t entered a photo competition before, get on out there and give it a try! What do you have to lose? If you have a passion for wildlife, nature or travel photography and would love to go on a small-number, professional photography adventure, please get in touch with Michael Snedic at WildNature Photo Expeditions. You can call him on 0408 941 965 or fill in this Contact Form and he will get back to you ASAP.